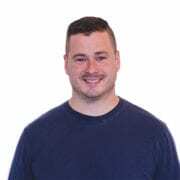 Mark Marzeotti has been the development lead on Reviews.com since August of 2018. Mark and the rest of the development team and design team work to ensure that Reviews.com is fast, secure, and easy to use. Since joining Red Ventures in April of 2016, he has spent time on various teams such as Verizon and Global SEO, serving a number of websites in the Red Ventures portfolio. The greatest thing he has ever bought is a pair of Plantronics Bluetooth headphones.